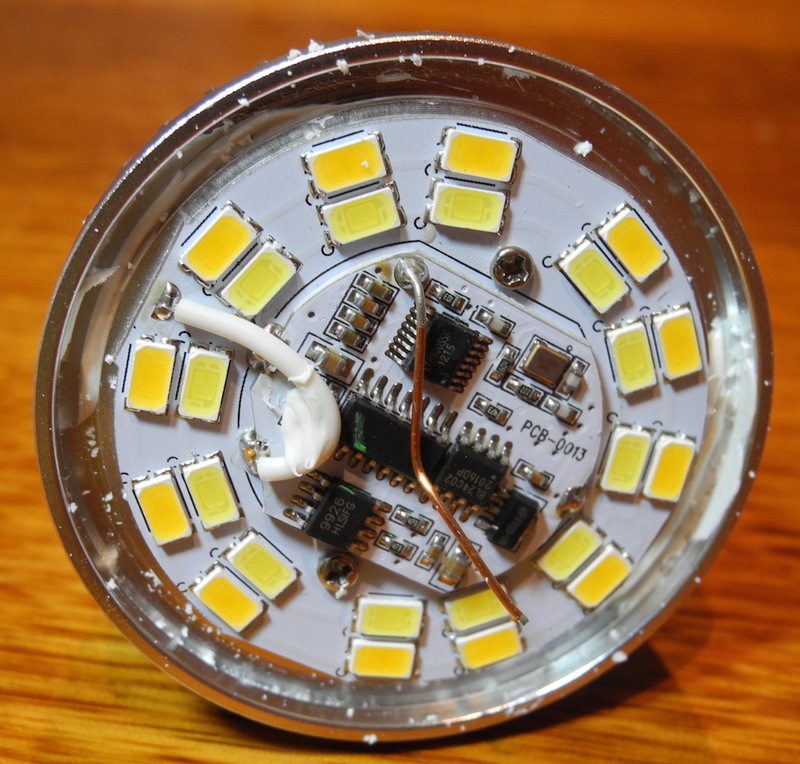 The translucent plastic cap came off with a bit of twisting, revealing the low-voltage board with its array of twelve cool and twelve warm white LEDs. 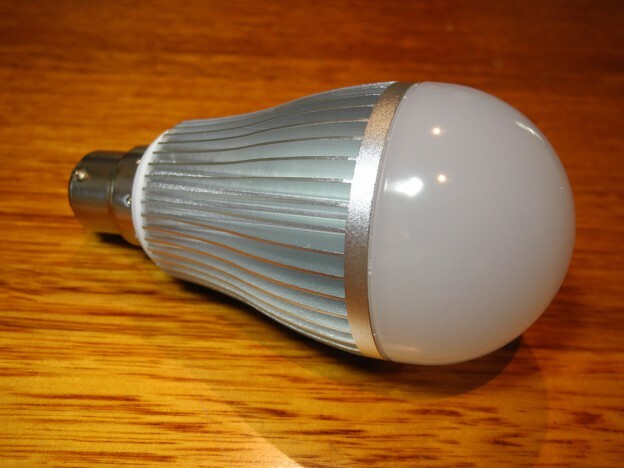 It’s easy to see why the light is so directional. The RF antenna pokes up and across the daughterboard. The entire backplane of the board is metal, screwed onto the large aluminium heatsink. The high-voltage board is tucked into the neck of the heatsink. It looks reasonably uninteresting. Can you post a better image of the inside? Especially the top part is interested as this has several IC’s that take care of the wireless communication and color mixing. If the numbers on these parts can be visible (or you read them and post them, that would be great! 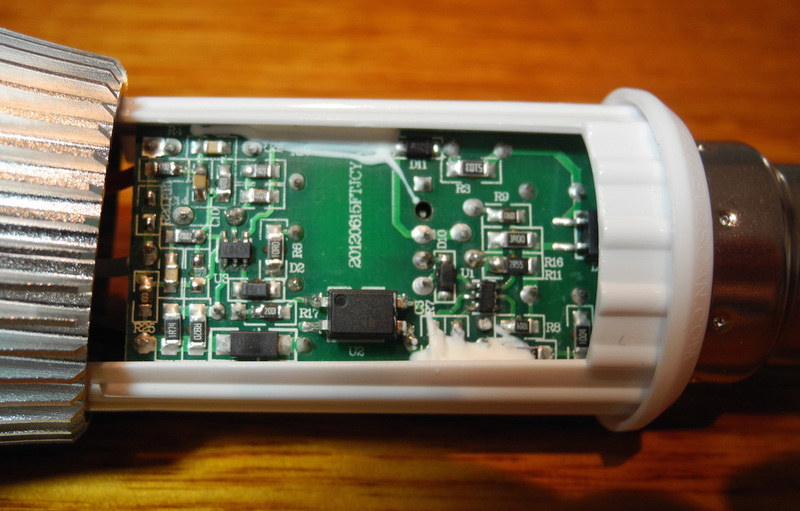 Maybe custom wireless hardware is possible or hacking the firmware… who knows! BL24C02 appears to be an EEPROM. 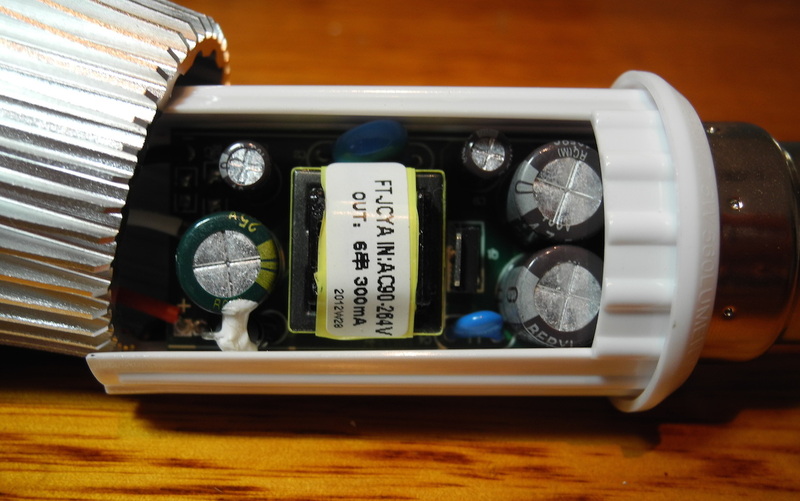 9926 appears to be a MOSFET driver. LT8900SSK appears to be a 2.4 GHz radio chipset. The big 14-pin IC in the middle with the yellow pen smear is probably the interesting one, and I remember thinking that it was odd that it had no markings whatsoever. It’s probably a custom chip.